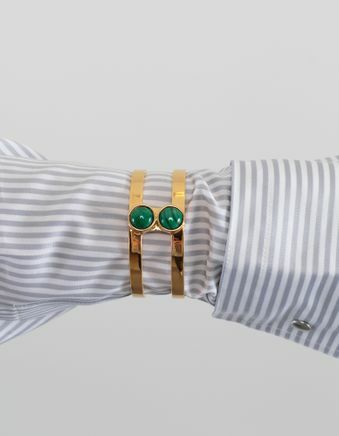 Petit T-bar Cuff Malachite from Lizzie Fortunato. 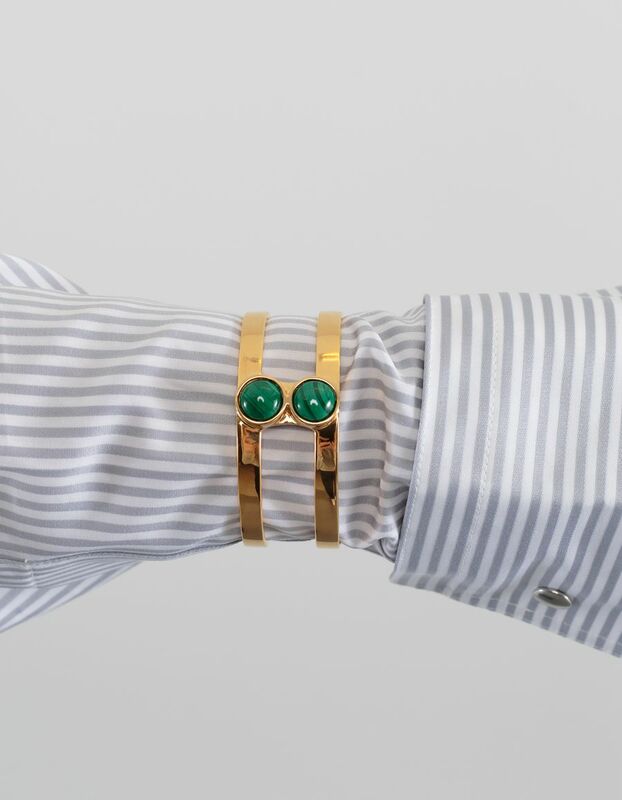 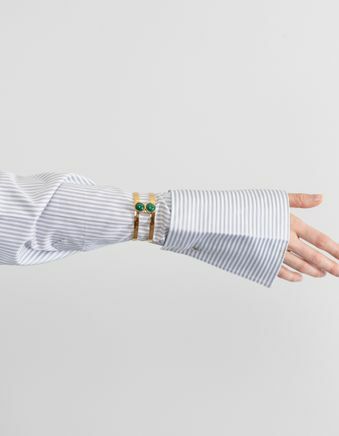 Gold-plated brass petite T-Bar cuff with malachite stones. About 5 cm in diameter.